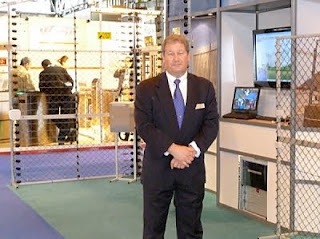 As an IFSEC exhibitor for over 20 years, we are understandably familiar with what happens at what is probably the world's leading exhibition on security products. Perimeter security solutions is always one of the biggest areas of interest at the fair so we know from experience to expect a good level of interest in our stand. 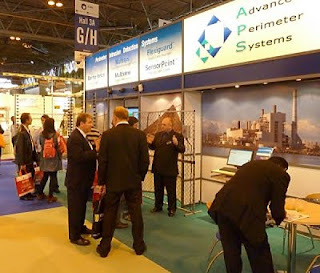 This year we were not wrong; indeed we were delighted to see not only increased visitor numbers but strong interest in some of our newer products such as Flexiguard™ Microwave Barriers - our microwave intrusion detection system. Ideal for using behind an outer perimeter fence as a second line of defence, it can also be used to provide detection around an open space where there is no fencing at all - the kind of situation where buried sensors were once popular. Our Flexiguard™ Microwave Barriers are, however, easier to install and less expensive so it came as no surprise to see greater interest in the product. We were also privileged to welcome some of our clients, representatives and installers from around the world. We do bear in mind of course that "all work and no play makes Jack a dull boy" so we treated our friends from overseas to some good, old British pub dining/drinking. A story for another day!